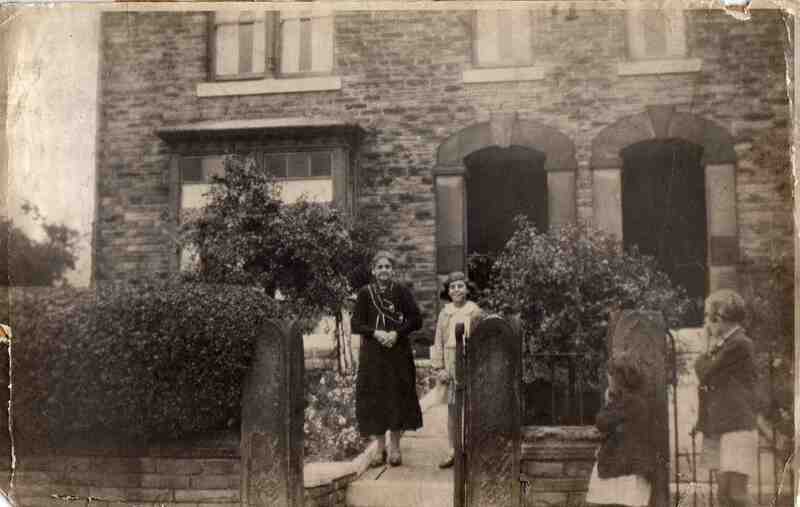 At the gate of 31 Upperthorpe Road in the early 1930s. Left to Right Phoebe Thornelow and Gladys Marsh (Wheelhouse). Photograph courtesy of Maureen Marsh. This was my great grand aunt. Lovely picture. Outside gate: The smaller girl is Margaret Collins (nee Wheelhouse) and the other Ethel Barker. Margaret and Ethel were outside the gate so as not to be on the photograph as they weren’t appropriately dressed.